Paraty’s interesting history led to an interesting result: The town’s colonial architecture and cobblestone streets have survived almost completely intact into the 21st century, turning Paraty into a popular tourist town. Paraty was recognized as a National Historic Site in 1966. We loved Paraty although it was extremely crowded the week we were there. I struggled to capture good pictures of the streets and the architecture because there were so many people around all the time. 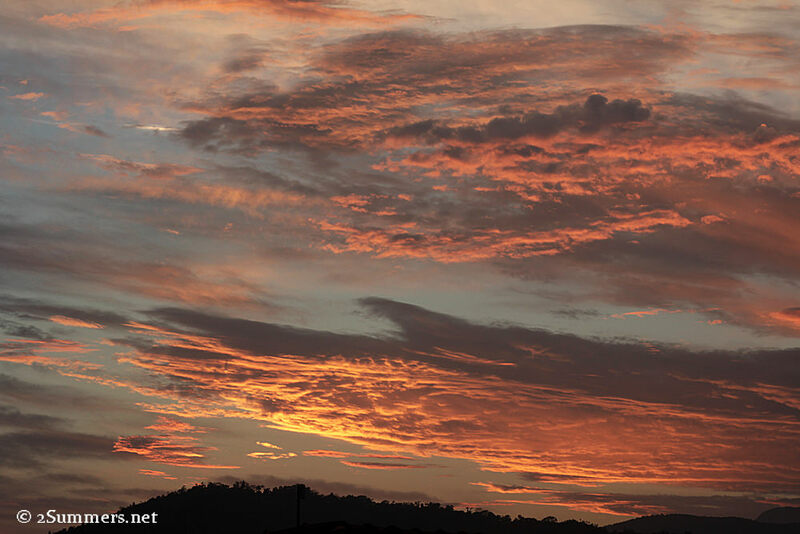 But I did manage a few good shots, mostly taken when I got up at sunrise one morning to explore the streets in peace. 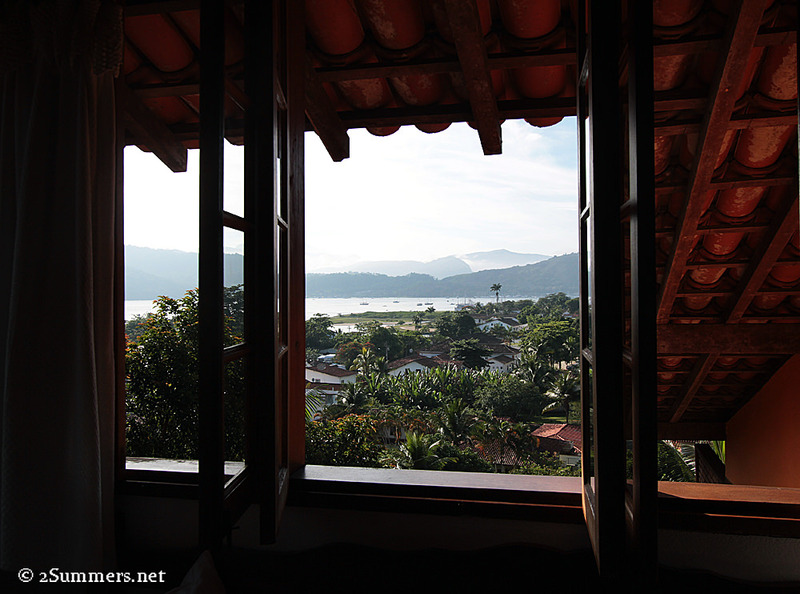 The view from our loft room at the Pousada Morro do Forte, atop a steep hill above Paraty. We loved this guesthouse — great service, food, and view. 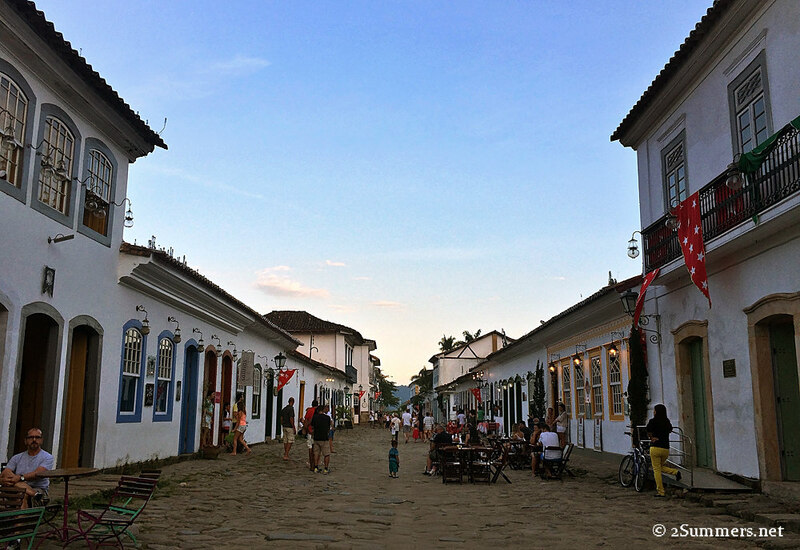 A relatively un-busy street around dinnertime in Paraty. The town is filled with quaint shops and restaurants, most of which have seating on the street. Note that high-heeled shoes are not an option in Paraty as the cobblestones are extremely uneven. Strolling around Paraty is quite a workout; I found myself working hard to find the most even stones to walk on. At night the town square was filled with food vendors. 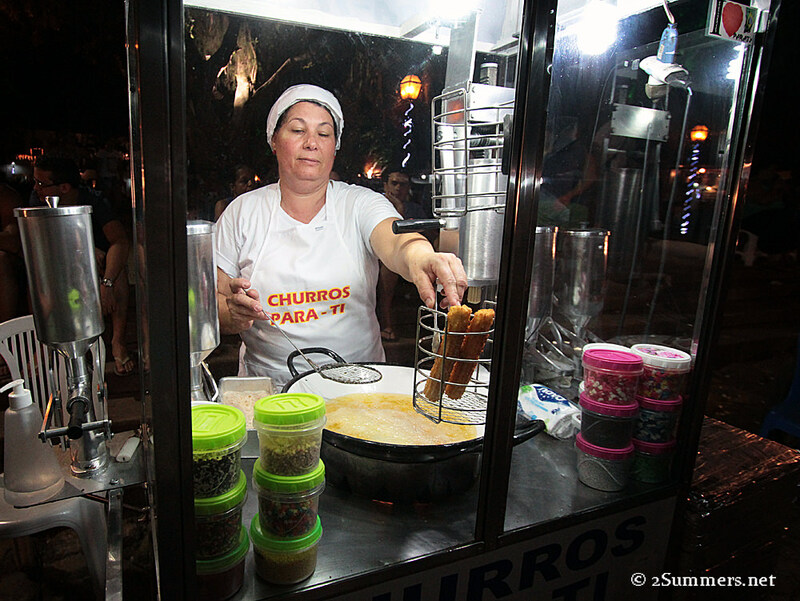 My sister and I ate churros — kind of like stick-shaped funnel cakes, but so much more delicious — for dessert every evening. 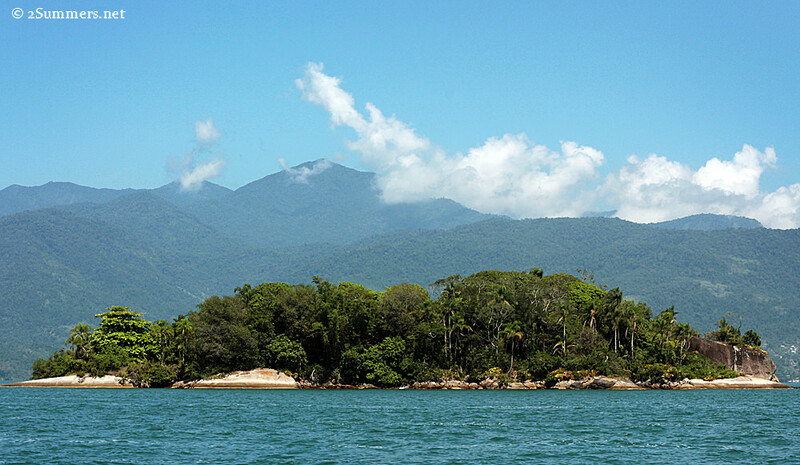 In addition to the history and culture, Paraty also has a beautiful coastline. We took a boat trip one day, which lasted for several hours and made a series of stops at various tiny islands along coast. I can’t remember which company we booked our boat trip with but I do remember that I had a delicious lunch on the boat — a traditional Brazilian fish stew called Moqueca. 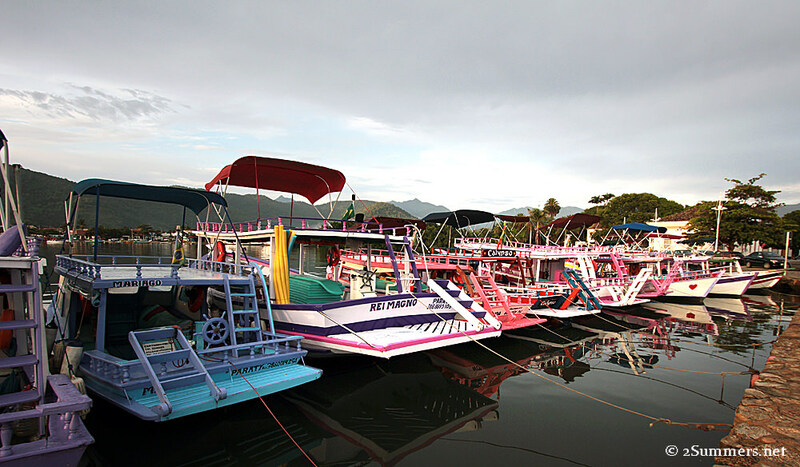 I loved all the multicolored boats in the harbor. Morning commute. 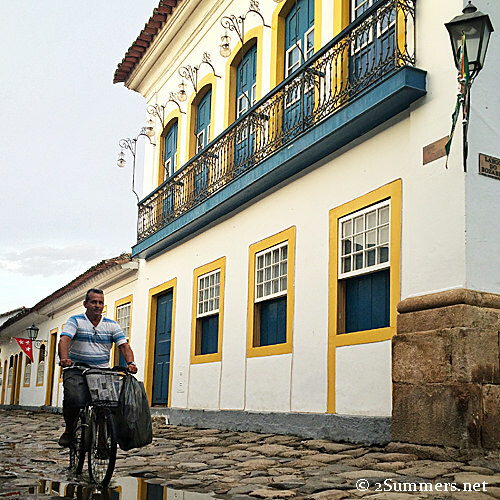 There are no cars allowed in the central part of Paraty so bicycles are the only option. Those cobblestones don’t look great for cycling though. Paraty travel tip: There’s a small beach hamlet just a few minutes on foot from Paraty, called Jabaquara. It’s easy to miss Jabaquara because it’s on the other side of the hill from Paraty, but we really enjoyed going there for a break from the cobblestone streets. Jabaquara seems to be more of a locals-only beach town and I think the accommodation is cheaper than in Paraty.